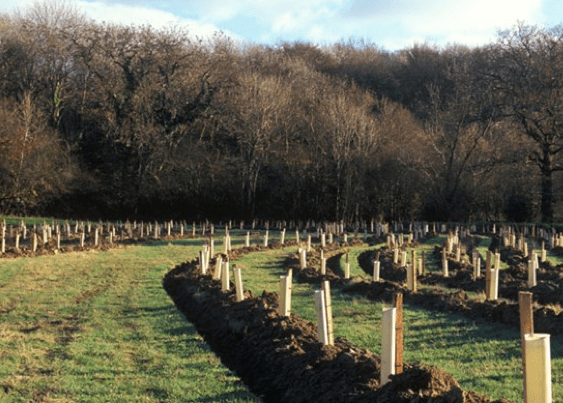 The Government is to invest £30m to plant 4 million new trees as they look to create 2000 hectares of new woodlands and place 200,000 ha into protected status. This entry was posted in Industry News and tagged DEFRA, Forestry, forestry commission, Rural development programme, The WoodlandTrust, Tree planting on January 14, 2014 by agratech. Defra will reprioritise its spending, focusing tax payer’s money on British farming and food production; enhancing the environment and biodiversity; and supporting a green economy resilient to climate change. Maximising the use of matched European funding for the Rural Development Programme for England, enabling a £66m reduction in domestic contributions. This will allow environmental stewardship schemes to remain open to all farmers. Defra will prioritise schemes that will be most beneficial to the environment, increasing the Higher Level Stewardship Scheme by 80%. This entry was posted in Industry News, Uncategorized and tagged British Farming, DEFRA, Department of Agriculture and Rural Development, Food and Rural Affairs, Government spending review, The Department for Environment, www.agratech.co.uk on October 20, 2010 by agratech. This years Open Farm Sunday event will take place on 7th June. Open Farm Sunday is a fantastic opportunity for everyone, young and old to enjoy the living, vibrant countryside. Take time to listen to the birds, soak up the scenery, experience the smells of the farmyard and really get in touch with the land that feeds us. Discover at first hand what it means to be a farmer and taste the produce. Each event will be unique with its own activities – based around the host farm’s own individual story. Activities during the day may include a farm walk, nature trail, tractor & trailer rides, pond dipping, activities for kids, mini farmers market or picnics. If you would like to visit a farm, find the listings here. This entry was posted in Industry News and tagged arable farming, British Farming, Crops. Food growers, DEFRA, food growers, http://www.thinkfoodandfarming.org.uk, National Farmers Union, Open Farm Sunday, visit a farm on April 5, 2009 by agratech. British farmers share their thoughts and discuss their roles and the importance of the industry. This entry was posted in Agratech News, Industry News and tagged Agratech, British Farming, British Meat, crops, DEFRA, Department of Agriculture and Rural Development, food growers, food production, National Farmers Union, NFU on March 12, 2009 by agratech.